There is always going to be an overwhelming level of competition sparking from all directions and in the computer peripherals industry, bringing out robust products that are capable of taking a hit for several years before biting the dust permanently at a reasonable price are hard to find. 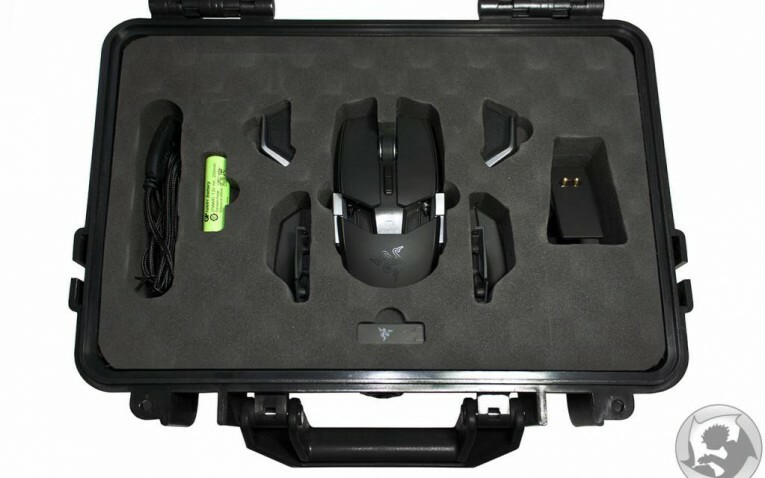 Razer however, happens to be one of the peripherals manufacturing companies who have earned a fierce reputation in the gaming peripherals market. 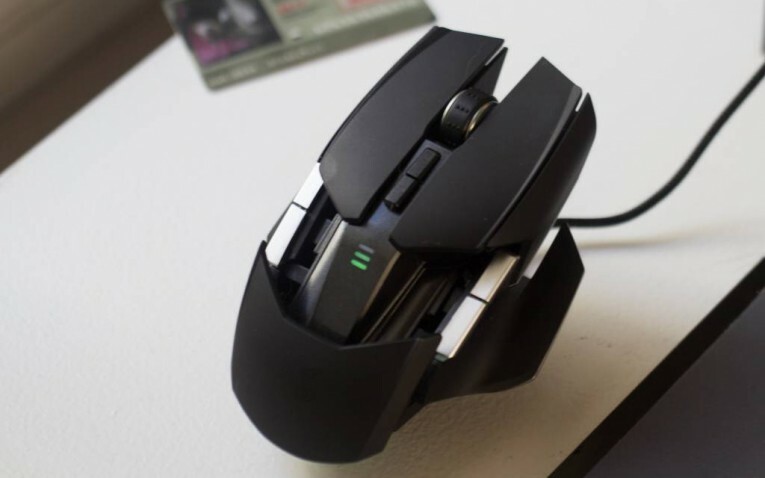 Their gaming mouse, named the Ouroboros is stacked with copious amount of features and best of all; it’s a wireless gaming mouse, allowing unrestricted gaming freedom. However, does that justify the exorbitant $150 price tag that comes stuck to it? Let us see. While it is complete overkill for gaming mice to have ridiculously high DPI speeds, Razer will always feel that something things will never be overkill. They have proven this as the Razer Ouroboros possesses an 8200 DPI 4G laser sensor that will be able to deliver tremendous amount of speed. 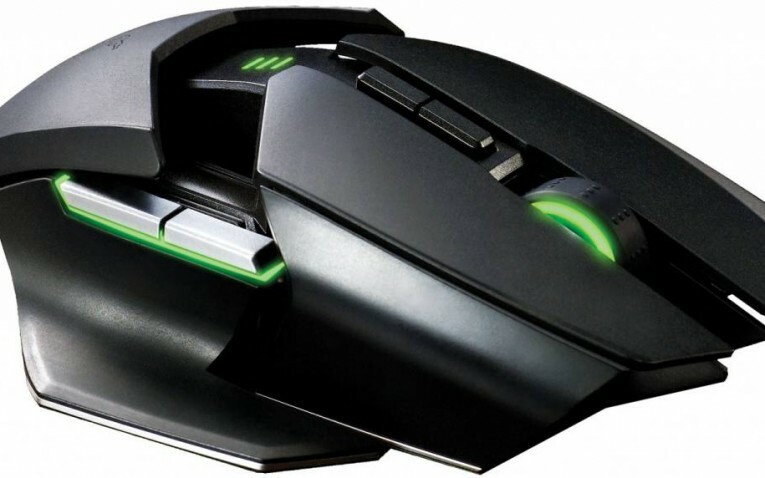 Since it is a wireless gaming mouse, it will be powered by a single rechargeable AA battery. According to the company, the gaming mouse is capable of at least 12 hours of continuous gaming. In addition to that, the mouse is also ambidextrous, allowing left and right handed gamers to comfortably use it. 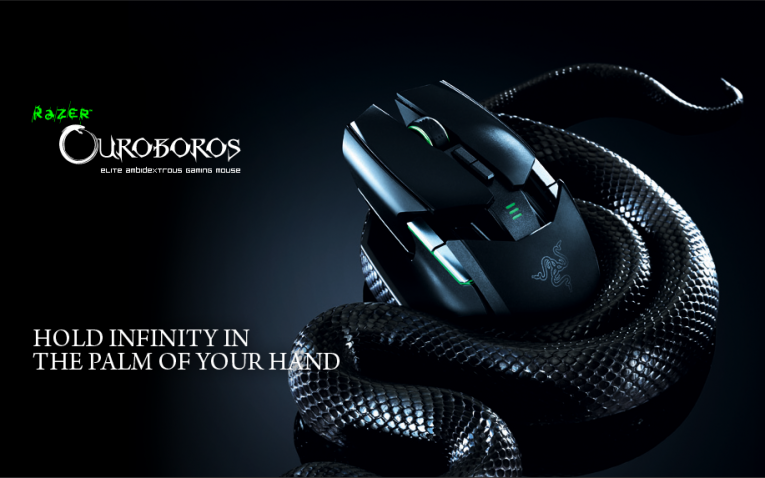 Since not all gamers will have the same palm size, Razer has made the Ouroboros fully customizable. 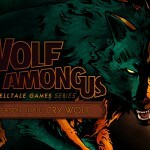 Users will be able to configure the mouse according to the size of their palm and increase the size of the mouse at will. This mouse can also be configured with an adjustable arched palm rest that allows a user to choose from various angles. 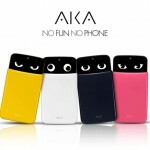 In addition, the device also features a retractable back panel that can be set to one out of three positions. The gaming mouse possesses a 1 ms response rate, which will allow certain gaming commands to be executed as fast as possible, which only means more frags, will be added to your list. There is a charging dock available that also acts as a wireless transmitter. The button located at the front of the mouse syncs the dock with the gaming mouse. 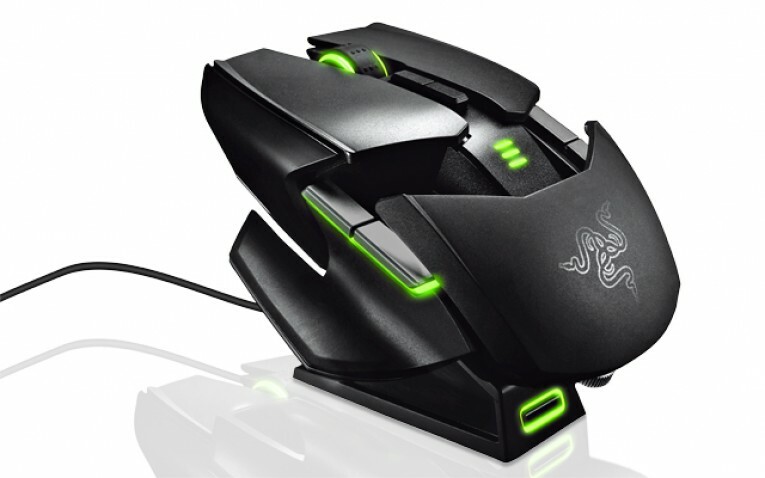 The Razer Ouroboros is also fitted with a 32 bit ARM processor, which acts as a miniature computer inside the device, delivering speed and precision, allowing gamers to dominate gaming sessions. Razer’s proprietary Synapse 2.0 software allows the mouse to be configured one step further. What that means is that you will be given extra room to further customize your device, whichever way you like. While there is other 3rd party software that is also available for this purpose, users will feel more at home when using the software. The features and customization options added in the Razer Ouroboros gaming mouse is one tough perk to beat. The only element of concern is that Razer could have added another layer of flexibility by allowing gamers to choose between wired and wireless gaming. They have added so many things; except for the kitchen sink, so why not add just one more modicum feature. According to Razer, users will not face any delay while gaming as most wireless gaming peripherals’ connections interfere with different wireless equipment placed in close proximity to the gaming device. 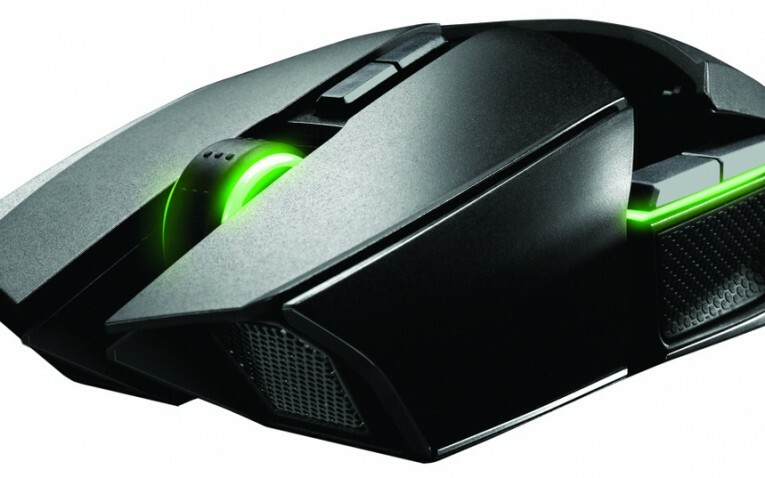 Apart from the price tag, and the option to add wired gaming to the list, the Razer Ouroboros is one killer mouse. Gamers who are comfortable enough to shell out $150 on a gaming mouse should invest their cash on this one first.